Oh how I remember the fashion from my childhood! More nightmare-ish than stylish, the 80’s and 90’s were not exactly the height of sophistication, and, as my mum likes to remind me every.single.time we go shopping together for kids’ clothes, “There were just no cute clothes back then”. Case in point, that dreadful K-Way every kid wore to school on rainy days. A plastic fantastic example of colourblocking till your eyes hurt, and when not needed, it became a fanny pack-esque belt that flipped up and down each time you took a walk. Never in a million years did I think about getting my kids one. Till earlier this week… In the corner of my eye I saw a kids’ coat flashing by on my screen, all exuberant in it’s monochromatic beauty and urban cool. Cue my surprise when I discovered it was the latest K-Way offering! 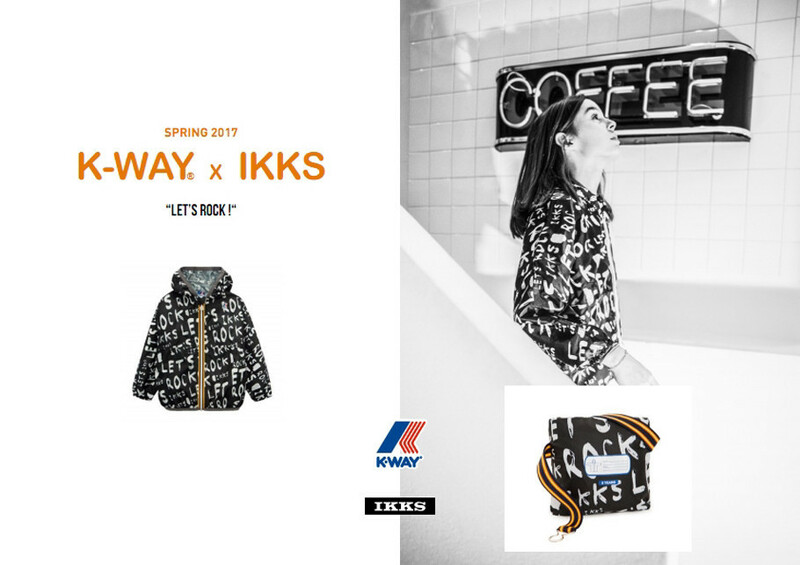 Digging a bit deeper led me to discover that IKKS had married their French Rock Chic vibe to K-Way’s iconic Claude 2.0 for a limited edition unisex model. Black with a white ‘Let’s Rock’ graffiti print, it just oozes street cool and rock ‘n roll! Be still my monochrome loving heart! So here I am, pondering if I should bookmark February 20 in my diary and order it for my kids? Cause, you know, quality never goes out of style, though plastic fantastic 80’s colouring thankfully did. What do you think? Splurge?